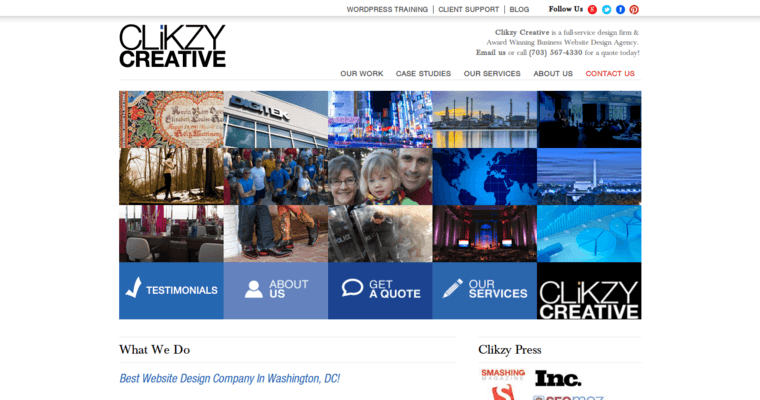 Clikzy, an innovative full-service design firm, has won several awards for SEO and website design. Serving businesses and individuals like you globally for the past eight years, our agency offers not only dynamic website design and development but also complete marketing campaigns to meet your needs. Helping customers identify how best to get max attention on the Internet through high search engine rankings, the full-time staff help clients' websites stand out from the rest utilizing search engine optimization, social media, web design and development, and more. We are being recognized more and more for our top-notch knowledge and application of SEO strategies. Awards include #1 Web Design, #1 Interactive Design and #1 Web Strategy, among many others. We provide clients with in-depth analysis of goals and marketing plan, with a focus on defining and navigating through the complex Internet and web design world. 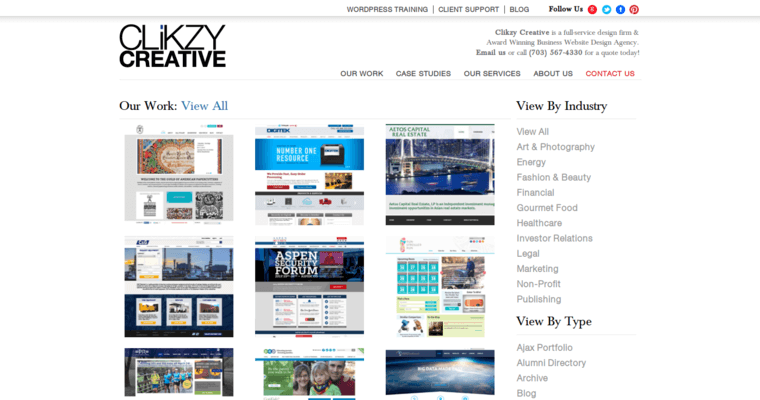 Clikzy blends interactive elements with content management systems so clients can manage their sites in the best possible way.